I am proud to be a Purex insider and that means that I get to tell my family, friends, and readers all about new products, sweepstakes, and programs that they can join. If you are reading this that means you too. Right now you can sign up for Dial Rewards which starts you off with 50 points but if you click on earn rewards and then put in my code ZX1DJ you will get 500 yes 500 extra points. 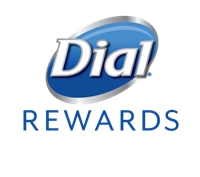 Dial Rewards is a new, easy and fun way to interact with the Dial brand, with a chance to win huge prizes. As a member you win & gain points for participating in various monthly activities. These points can be used for chances to win exciting prizes like a $10,000 cash sweepstakes, gift cards, Dial products and more! Disclosure: MarksvilleandMe received one or more of the products mentioned above as part of a promotion with Purex, and Dial rewards. Regardless, MarksvilleandMe only recommends products or services we use personally and believe will be good for our readers. Some of the links in the article may be “affiliate links.” This means if you click on the link and purchase the item, I will receive compensation, in some cases I might win something if I am lucky enough. If you would like MarksvilleandMe to review a product or service please contact us at marksvilleandme@gmail.com.